Alvaro Morata defended Diego Simeone from criticism following Atletico Madrid's Champions League elimination and thanked him for restoring his own confidence. But a Cristiano Ronaldo hat-trick inspired Juve's second-leg turnaround, securing a 3-2 aggregate victory to dump Atletico out. When asked if he is now happy at Atletico, Morata – who is away on Spain duty – told reporters: "Yes, especially at Atletico, but it would be more so if the last week had been better. "We have been knocked out of the Champions League, but life goes on. 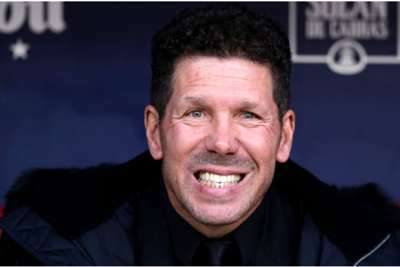 Everyone knows what it means [to Simeone]. He is Atletico. A defeat in the Champions League or in the league is not [a reason] to criticise. "I am where I wanted to be for a long time, I thank Simeone and the coaches for their confidence, because thanks to them I am finding my level. "It's clear that I needed confidence [after leaving Chelsea], I came from bad times, but I do not have to consider the past."